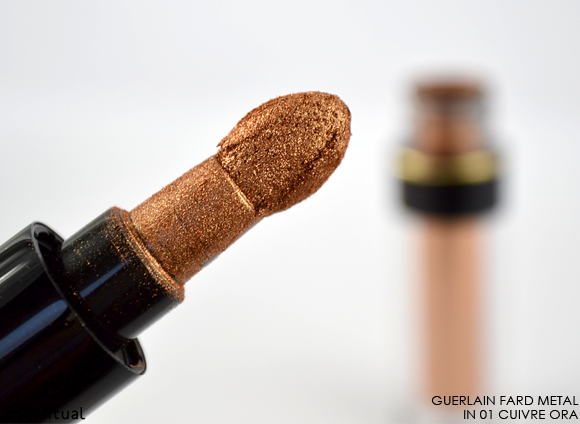 You can always rely upon Guerlain to bring the glamour come summertime. 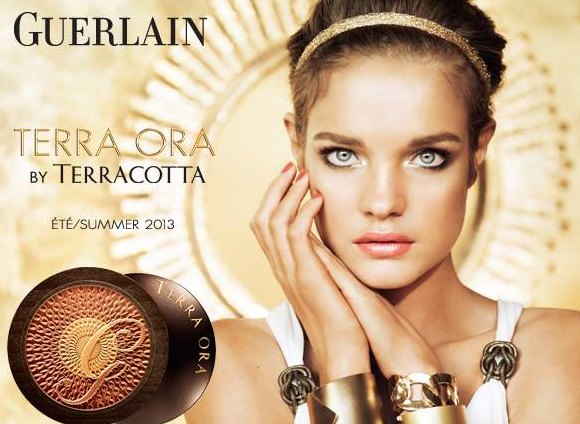 The new Guerlain Terra Ora collection for 2013 is packed full of shimmering pigments, molten metal and luxurious textures which create a sun-drenched palette. It’s all about gleaming, luminous skin – and what more could you want from your summer make-up? Take a look at the lustworthy collection and let us know what you think below! The trend for BB creams doesn’t seem to be ending any time soon! 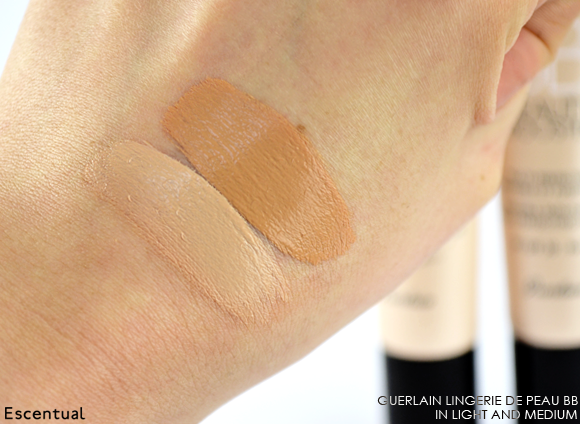 We’ve seen lots of new launches this year already, but this one from Guerlain cites a key difference: its texture is designed to feel imperceptible on the skin. 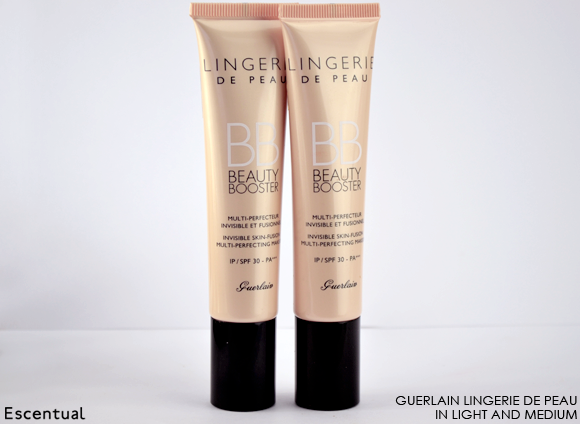 This is a mean feat, especially for a formula that has quite a high level of SPF which can often make a formula feel thicker, but I have to agree that the Lingerie de Peau BB cream is markedly more lightweight than its closest rivals. The Lingerie de Peau BB is packaged in a pliable plastic tube with a pump applicator, which allows you to dispense a more controlled amount of product. I’m not usually too fussy about the packaging of my skincare or foundation as long as it’s not in a pot (too easy to spread bacteria about!). I’m normally more concerned with portability, and this slim, lightweight tube slips very nicely into my daily make-up bag. The formula of the Guerlain Lingerie de Peau BB incorporates 5 key facets: hydration, protection, radiance, correction and evenness. Its star ingredient is an innovative Bio-Fusion micro-mesh, which is what makes the cream so light and comfortable to wear. The micro-mesh is made up of a combination of natural and synthetic polymers extracted from textile fibres, which sounds a little strange, but it works incredibly well to smooth and ‘shape’ the skin. With added illuminating pigments, corrective colour pigments and hydrating ingredients, the base looks and feels natural and radiant. 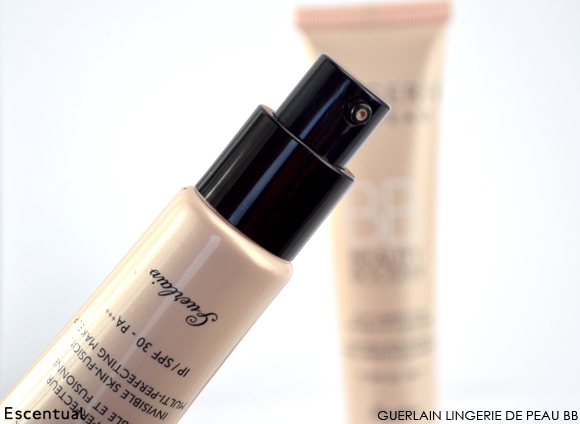 The BB cream comes in 2 shades: light and medium. I’ve swatched the shades heavily above to give you an idea of the tonality, but they blend out to create a far more subtle wash of colour. If you think you’re somewhere between the two colours above, have a think about what shades of foundation you usually plump for. If you stick to the lighter shades or have a pinker tone, then Light is your guy. If you’re more inclined to go for warmer shades, then go for Medium. 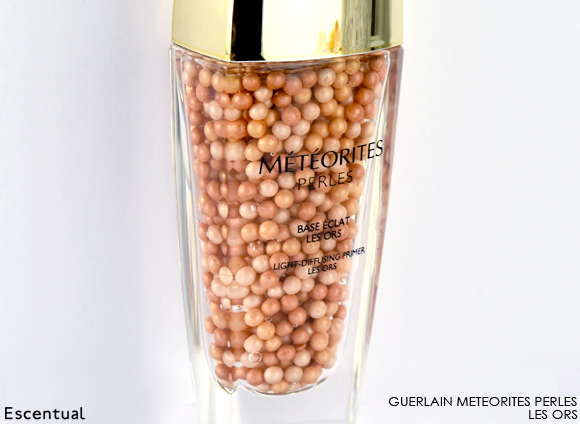 Guerlain’s Meteorites collection is, for me, the quintessence of what luxury make-up is all about. Not only does the range of primers, powders and illuminators perform impeccably, but the attention to detail makes your usual make-up routine so much more of a treat. I actually get a little thrill from seeing my little pot of Meteorites Pearls on my dressing table – sad, but true! 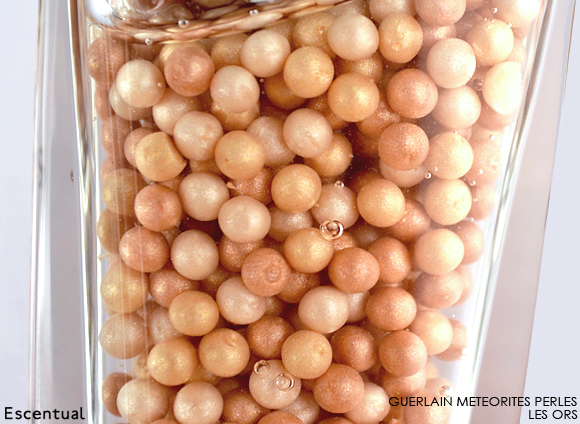 The Guerlain Meteorites Perles Les Ors takes the original premise of the Perles Primer formula, illuminating pigment spheres suspended in a hydrating serum-gel, and enlivens it for the summer time. Instead of soft-focus pink pearls, Les Ors utilises yellow gold pearls to rejuvenate grey complexions, white gold pearls to add light, and pink gold pearls to perk up a tired visage. This is one pump of the primer, which is enough to use over the entire face. You can see the balance of serum-gel and pigment, which mixes together to create a multi-faced bronze hue. Smooth it on after your usual moisturiser, and then apply your foundation. I then normally take a half-pump of Les Ors, warm it between my hands very slightly, and then pat all over a for a polished finish. The star of the Terra Ora collection is the Terra Ora Contrast Highlighting Powder, two-in-one powder compact that helps you to create flattering light and shade on sunkissed skin. 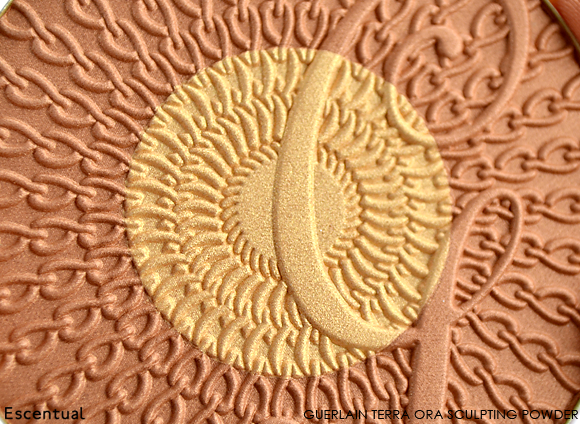 Packaged in a wooden case with a magnetic enclosure, the powder is embossed with the most beautiful, intricate pattern. The centre colour is a beautiful bright gold, which is designed to highlight the eyebrows, bridge of the nose, chin, shoulders and décolleté. 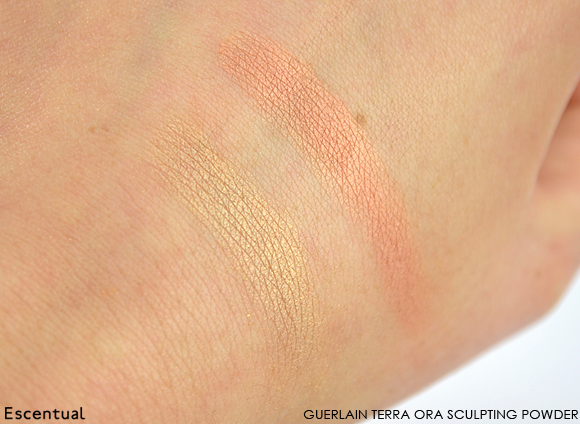 The second shade is described as a matte bronze, but you can see above it actually has more of a pearlescent effect which looks absolutely gorgeous when used as a subtle contour. 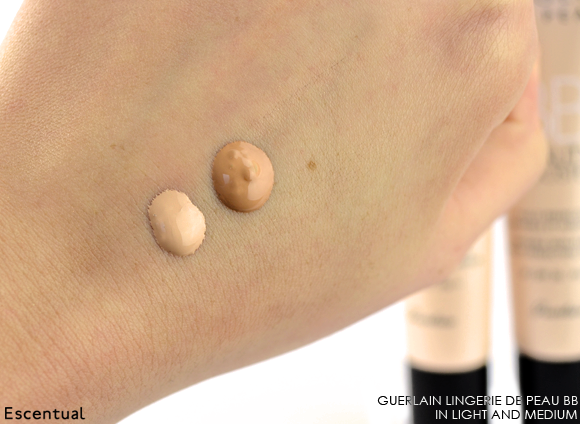 Mix the two together for a customised illuminator which suits all skin tones. 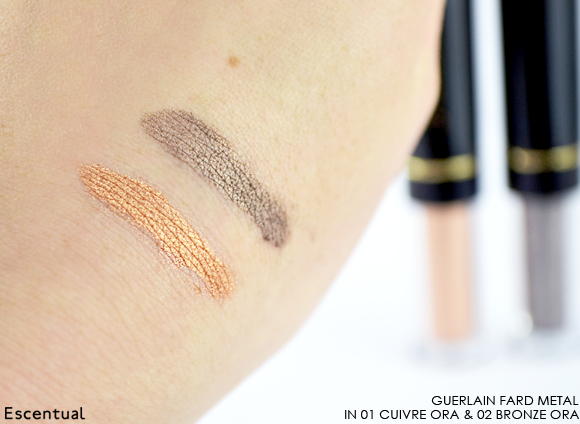 If you like ultra-pigmented eye colour, then you’ll love the Guerlain Fard Metal Iridescent Eyeshadow. 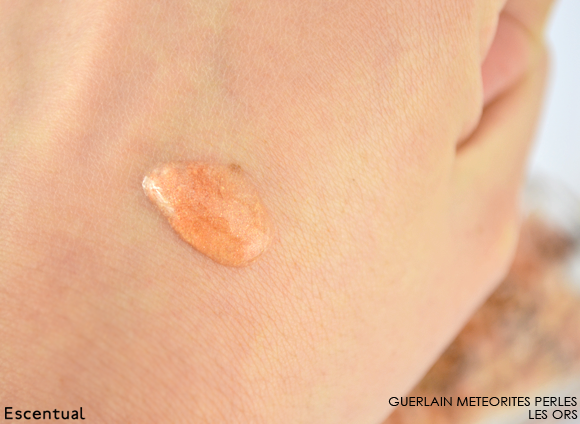 It’s a loose pearlescent powder with a difference; the particles actually cling to themselves and the skin, creating a creamy, molten metal look in one swipe. Untwist the spring action cap and you’ll find an oversized sponge applicator which picks up and places colour on the skin with ease. Be careful when you put the applicator back into the tube, though – the fine pigments have a tendency to be puffed slightly into the air! Fard Metal is available in two shades: 01 Cuivre Ora, a beautiful goldenrod shade, and 02 Bronze Ora, a multifaceted brown-bronze. Can be applied with a heavy hand as above, or dappled across the lid and blended for a smokier, shimmering effect. 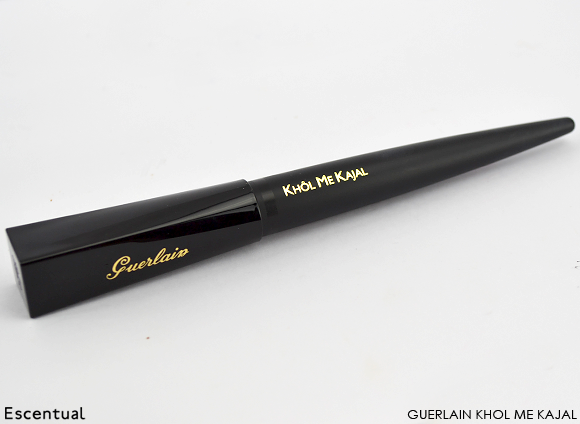 A Guerlain summer collection wouldn’t be complete without an eye khol, and this year’s edition is better than ever – it comes packaged in a handy pen format! The long handle and makes it easy to handle the creamy colour, and it looks great to boot. 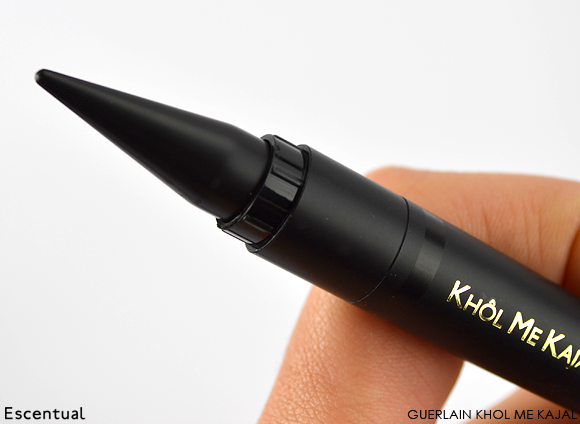 When you remove the lid, the khol is the same as ever – long, tapered and pointed for precise application. 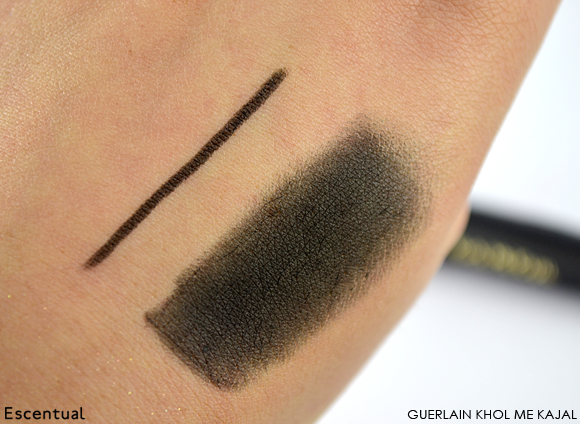 The formula is smooth and ultra pigmented for a quick and intense eye look with minimum fuss. The vintage-inspired, ultra shiny Shine Automatique Lipsticks have been revamped with two new shades for the summer. Made up of crystal pigments and pearlescent particles in an extremely fine texture, they give lips a gorgeous gloss with maximum comfort. 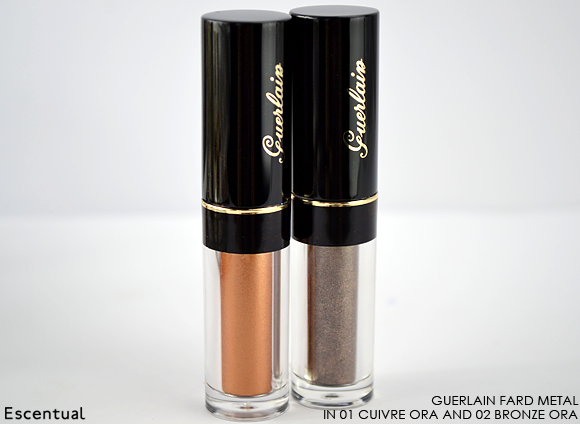 The two brand new, limited edition shades are 701 Bianca Ora and 740 Corail Ora. 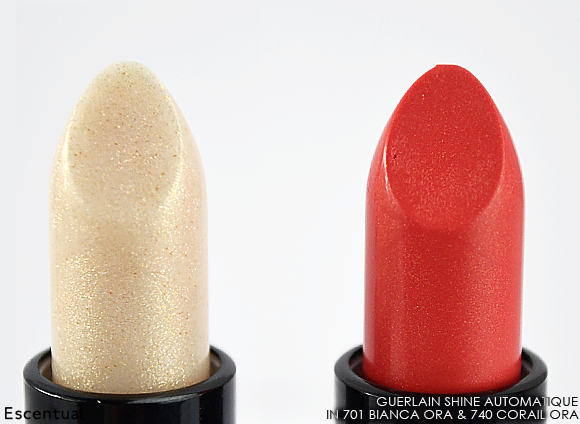 Bianca Ora is a white gold shade shot through with finely milled golden glitter that delivers a wet-look shine when worn alone or as a top coat. 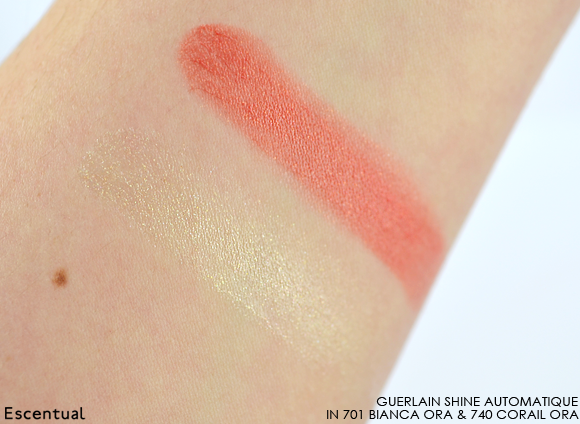 Corail Ora is a luminous coral red that warms up a tanned complexion. So, that’s it! What are your favourites from the collection? This entry was posted on Monday, June 3rd, 2013 at 9:37 am and is filed under Make-up, New products, Special Post, Spotlight On, Swatches, Trends, Tried & Tested. You can follow any responses to this entry through the RSS 2.0 feed. You can skip to the end and leave a response. Pinging is currently not allowed.